Purchasing a home of any size is an expensive exercise, especially when taking into consideration the fact that you will require a down payment of sorts before most banks or other lending institutions will consider granting you a mortgage. 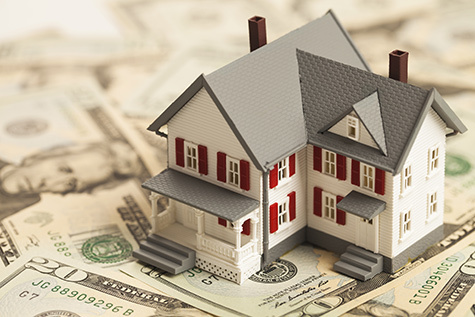 Below are a few hints and tips that will not only help you gather those nickels and pennies, but that will help convert them to dollars so that you can save as much as possible for your down payment as quickly as possible. To save a down payment successfully, you will need to have a strict budget in place – after all, you will need to know where your money is going to each month before being able to see how much of it you will be able to save. Your budget should include your income from all sources as well as all of the expenses you pay out each month. Once all of these have been listed, you will be able to see how much money you have left over that can be allocated to saving the required down payment. If you find that you have little to no funds left after paying out your expenses or that you are paying out more than you earn, you will either need to cut expenses or find a way to increase your income. One of the biggest hindrances to not being able to save the required amount for a down payment is having any form of consumer debt such as credit cards. Having debt will also make it more difficult for you to afford the monthly mortgage on your dream home, which is why you should work at eliminating as much debt as possible before trying to save your down payment. Once your major debts have been repaid, you can then put the money you were paying on them towards your down payment savings. If you want to save your down payment as quickly as possible, you may want to consider taking on a second job to help raise the money as quickly as possible – provided that it does not interfere with your existing working hours. Other options to consider are taking a job as a server at a local restaurant or even doing shopping for elderly folk who no longer drive. Although these jobs may not pay much, each extra dollar earned puts you closer to the down payment you need. To earn some quick cash you could also consider selling off unwanted household items such as furniture, kitchen items, toys that your kids no longer want, books or even electronic items that are not being used. Other more extreme ways to save money would be to downsize to a single-car household and eliminate eating out for a few months. Although a down payment of between 5% and 20% is recommended in most cases, having a bigger down payment on hand could enable you to get better interest rates on your mortgage, which will enable you to repay it quicker. This entry was posted in Blog and tagged down payment, get down payment by Scott Li. Bookmark the permalink.